Aquamaster conditions water and restricts the harmful effects of minerals and metals by applying the concept of Catalytic Ionising. At virtually no operating cost, hard and saline brackish water is conditioned to its optimal standard. The Aquamaster system works by utilising electrode cores which create a venturi effect in the water, thereby bringing all undesirable molecules towards the core as the water flows through the system. Essentially a low electric current emanates from an electron booster, which constantly charges the Aquamaster cores and allows ion exchange to take place when the ions in the salts and minerals are polarised. This then changes the molecular structure of the water. 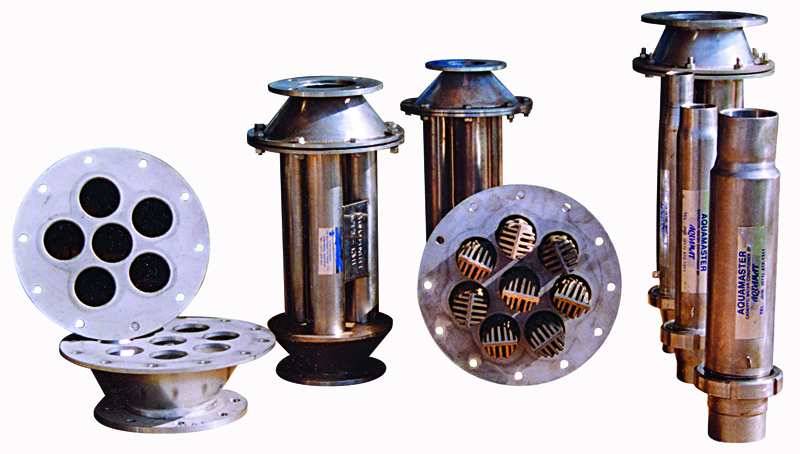 The system can be fitted into a stainless steel housing and is installed in the main water flow line. The size of Aquamaster required is dependent on the required flow rate and application in question. They are suitable for small domestic units, right up to large irrigation schemes and the municipal water supply to towns and villages. Conditioned water prevents scaling and protects equipment such as cooling towers, pipe lines, heat exchangers, air conditioning units & appliances. Conditions water containing harmful elements such as minerals and metals. Hard water, saline & brackish water for domestic, industrial and irrigation applications, is conditioned to optimum standard. Destroys surface tension of water, maximising water absorption by plants. Hard water is restructured to a finer level improving irrigation substantially. Water percolation into soil is optimised. Leaching property of water is greatly improved resulting in diminished salt presence near roots. Scaling in pipes is prevented. Aquamaster M300 6 x 100mm cores 300 000 - 480 000 lt p.h. 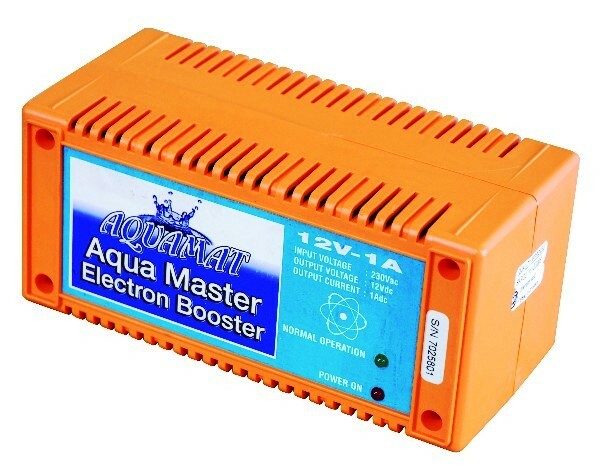 The electron booster adds more electrons to the Aquamaster when high volumes of water are treated.